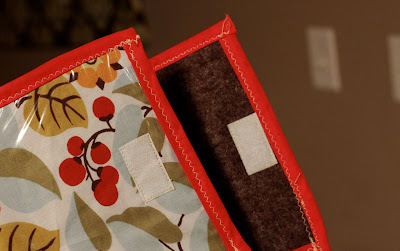 1) I'm going to show you how to make this cool "On the Go" case with customized music as a gift. 2) I'm extending the giveaway until December 29th, since some of you have voiced your concern of revealing gifts on your blog to the recipients of your gifts before Christmas. Good thinking. Once again, post your creative concoctions of gifts no later than noon EST the 29th. Now, on for last minute gift making. Customized CD(s) of music for the car stored in a slender, tidy carry case to be taken on trips, thrown in a bag, and the likes, with slots for additional favorite music to be added to. 1) My older girls and I singing our favorite songs, nursery rhymes, Caroline making up songs as she goes, and made up stories about the people we're making the CD for. 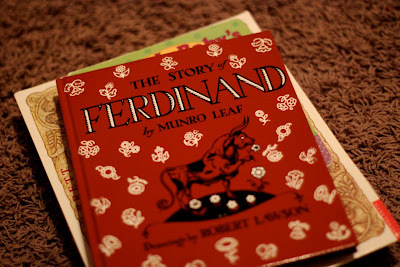 2) Some of my favorite children's books read aloud. Make the CD: Choose your material-- books, songs, hand written stories to read aloud. 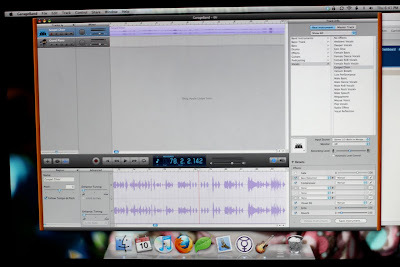 If you have a Mac, use Garage Band to record. 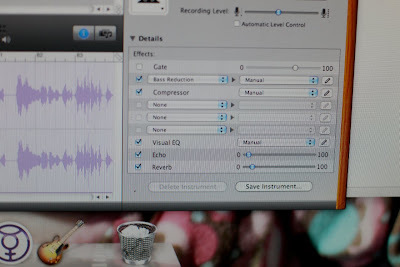 If you have a PC, check out what recording software works best. 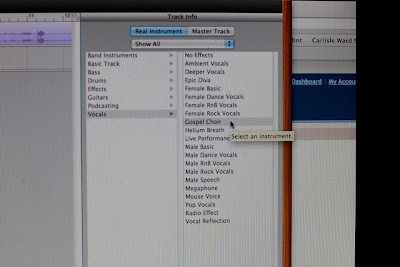 I played around and found "Gospel Choir" in the Vocals section of Garage Band to sound the most like a professional recording. Then record. Edit mistakes and crying children in the background if necessary and then cut the CD. 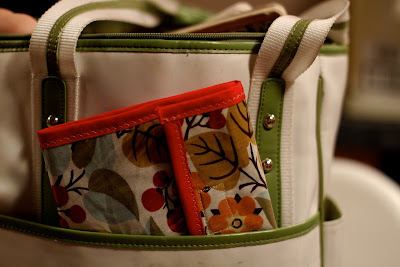 Now when it comes to the carrying case, or the "On the Go" case, I'm going to give the quickest directions ever because of the mountain of boxes glaring at me in the corner, waiting to be packed. 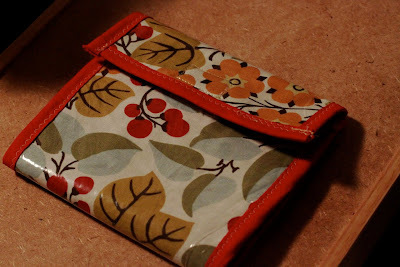 Take a rectangle piece of felt and line up two smaller rectangles of felt, as seen above, and pin. Those will hold the CDs. Take a CD and position to get an accurate placement. Stitch the three sides. Done. 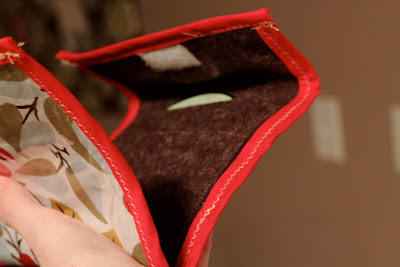 Now layer the felt to the fabric to the vinyl, which are all the same size, might I mention. 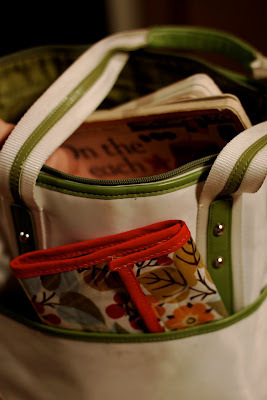 You will pin your coordinating seam binding to the three layer. Stitch carefully, as the vinyl will sometimes stick to the machine. The less contact the vinyl has with the plastic machine as it passes through, the better. Machine stitch the two sides of Velcro for the flap. And there you have it: a pleasing, very personalized present for children, family and friends. 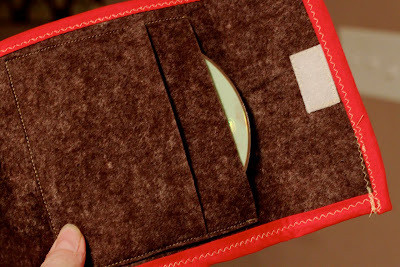 If you can't sew a case, use cardstock and make a card with a pocket on the inside to slide the CD in and out. Then you can print your playlist and paste it to the opposite flap. We're thinking easy here; do what time permits. And with that, I'll meet up with you again in a slightly distant place where there is, thankfully, no more shag carpet.